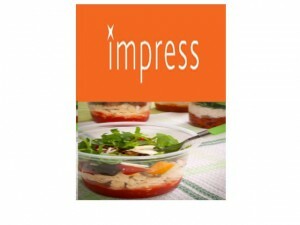 British-food company Impress Sandwiches recently introduced a new range of products to the UK market. The company has come up with a Hot Pot Meal range for consumers to enjoy. These new on-the-go foods are perfect for people who are busy and can’t find enough time to sit down and have a proper meal. The company came up with this new product range keeping in mind retail outlets in universities, contract caterers at B&I and campus residents who would prefer to have convenient meals. Varieties of this hot pot range include Chicken Tikka and Rice, Chili con Carne and Rice, Tomato Sauce and Fusilli Pasta with Meatballs and Tomato Sauce and Fusili Pasta. Both rice meals are topped with roasted vegetables and spinach leaves. Both fusilli pasta meals are topped with shavings of Parmesan cheese and rocket leaves. According to Impress Sandwiches’ Managing Director Andrew Pocock, the hot pot range was launched in order for consumers to have a variety of choices that are of high quality and cost-effective. The products, as well as their packaging, have been created so they can be displayed in a chiller in retail shops and can then be heated right away for take-out. Pocock also added that the company developed the product with foodservice operator preferences in mind and the flavours that are currently popular to consumers. Any meal in the hot pot range has a shelf life of five days. Before heating the product in the oven, the lid of the packaging should be removed. Heating time for each meal is three minutes.